Blue 14 will invest in commerce brands and performance media agencies. Jim Lewcock, founder of The Specialist Works, is putting £10m into a venture capital fund that will back both start-up ecommerce companies and performance marketing agencies. The fund, Blue 14, has already made eight investments – four business-to-consumer ecommerce brands and four performance media agencies – and Lewcock believes it can create a "virtuous circle of growth". He explained how Blue 14’s ecommerce companies are all at a stage when they need to invest in advertising and marketing to drive rapid growth and customer acquisition, and will use Blue 14’s agencies to help them. 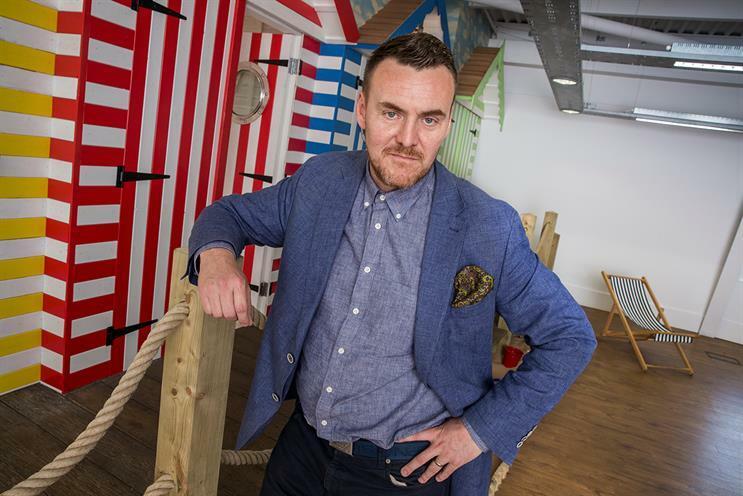 The agencies will grow due to these clients, according to Lewcock, and they will all share ideas and innovation because Blue 14 is setting up a new shared office space, Rock Place, on the seafront in Brighton that he jokingly described as "WeWork on acid". Blue 14’s ecommerce investments are: online craft beer retailer Flavourly, online organic food store thefoodmarket.com, Bluecrest Health Screening and concept business Rektro. The performance media businesses are: RewardsBag, ePerformance.io, Triyit and Paper & Pixels. Lewcock has money to invest after selling The Specialist Works, a performance agency that took a contrarian view by specialising in print inserts and TV advertising, rather than digital ads, to drive growth for brands. He is thought to have collected in the region of £30m from the estimated £45m sale of his agency, which he founded in 2003 and sold to management this summer. The Blue 14 name is inspired by Lewcock’s favourite business theory, "blue ocean strategy", that says businesses can thrive by going into new areas of the blue ocean, rather than entering already oversaturated markets, dubbed the "red ocean". Lewcock admitted that there was an element of risk and that Blue 14 would need to "evolve" and "keep changing" as some businesses might fail or be sold. "We will have done our job in getting companies to survive and thrive over their first five to 10 years by working collaboratively together," he said. "For now, we are a venture capitalist with performance media know-how, providing better odds than anyone on success." The Blue 14-backed B2C brands will be expected to use the Blue 14-backed agencies. He insisted that the companies in the Blue 14 portfolio would be able to manage potential conflicts of interest between them when it comes to media buying and maintained he was not "naïve" about such challenges. "When you put your money where your mouth is, the truth swiftly follows," he said, explaining why the fact that Blue 14 has "written the cheques" for the B2C brands means they will demand the agencies deliver results. "It’s a different model" Lewcock admitted. "We are a fast-moving group of angel investors, B2C brands and media companies – each helping the other to grow customers. It’s the classic virtuous circle of growth." Blue 14’s co-founders are Dominic Benton, who sold his agency, TRT, to The Specialist Works, and Guy Stainthorpe, who has worked for Italian media conglomerate De Agostini.